Like many recent college graduates Collen Tshazi returned home after earning his degree. Unlike most young twenty-somethings it wasn’t the comforts of home or the need to save money that brought Tshazi back to where he started, it was the desire to give back to the community he came from. Tshazi is from Kliptown, a suburb of Johannesburg and one of the original communities in the formerly black township of Soweto. In Kliptown the majority of residents live in informal communities, that lack access to vital services such as electricity and water. Most of the homes are make shift shacks consisting of one to two rooms that regularly house extended family members. Kliptown’s more than 40,000 residents share pit latrines and obtain water from one of 10 taps scattered throughout their community. 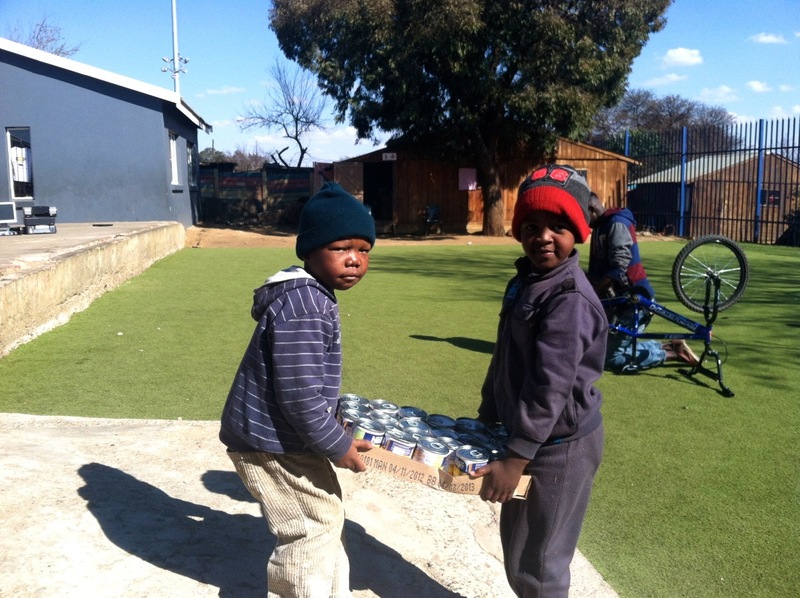 With an unemployment rate at over 70 percent, poverty is a seemingly permanent problem in Kliptown. In just six years as an organization, the Kliptown Youth Program, or KYP, has become the heart of a community and a needed gathering place for the residents of Kliptown. Tshazi works as the technology coordinator at the Kliptown Youth Program. As technology coordinator, Tshazi helps young people learn computer skills and improve literacy. Tshazi was one of the first youth to join the program when KYP started in 2007. After graduating high school in 2009, Tshazi went to study at a nearby business college that provided him the technology skills that he now teaches to the younger members. “I want to show the young people you can make it in life,” said Tshazi. In a community where most residents will never go to college, KYP has sent over 20 of its members off to higher education with even more graduating from high school. It was witnessing that lack of hope that inspired Bezana along with Thulani Madondo to found the KYP in a former catholic school building in the informal community that lacked any school or library. Over 70 residents from the area attended a meeting at the abandoned school, planned by Bezana and Madondo to gauge community interest in a youth program. The response at that meeting was so positive that by the end of the day, the Kliptown Youth Program was officially launched. KYP continues to work to engage the community. On any given day, the courtyard of KYP is full of children from the community, playing football (soccer) or participating in other activities. Programs and activities are based on students’ interests as a way to encourage participation. One of the most popular activities is the Gumboot dance, a dance named after the boots worn by South African gold miners where the dance originated. The dance is based on the slapping of the gumboots that was a means of communication for gold miners within the mines. For Siphamandla Bongwana, or Boyboy as his friends call him, it was the Gumboot dance that kept him coming to KYP programing. Bongwana is a recent high school graduate and will be attending college in the coming months with the intention of studying law. Bongwana credits KYP for preparing him to enter college. “They would help me with school with the tutoring program,” said Bongwana. “Many people think if you are from Kliptown you never make it to become something great,” said Bongwana. Bongwana volunteers as a tutor to the younger members of KYP to provide the same assistance that he was received. Being a mentor is important to Bongwana as he prepares to leave for college. It is a strong sense of community that helps KYP serve their members. Members that grow out of the program or leave for college often return to volunteer or to inspire the younger members to work towards their goals. The youth program serves over 400 members and provides the Kliptown community with its only library. Programs include tutoring, arts and cultural activities, sports and technology and skills training. Membership at KYP is free and youth are allowed to stay with the program for an indefinite amount of time. Older members are assigned to be tutors or mentors to younger members. KYP also works to help members as they move on from life in Kliptown. Members of the program that are accepted to college are helped with financial costs that would normally be an impediment to attending college. Prospective college students are matched to potential donors and receive assistance with financial aid applications. Education is at the center of KYP’s mission to empower the Kliptown community. 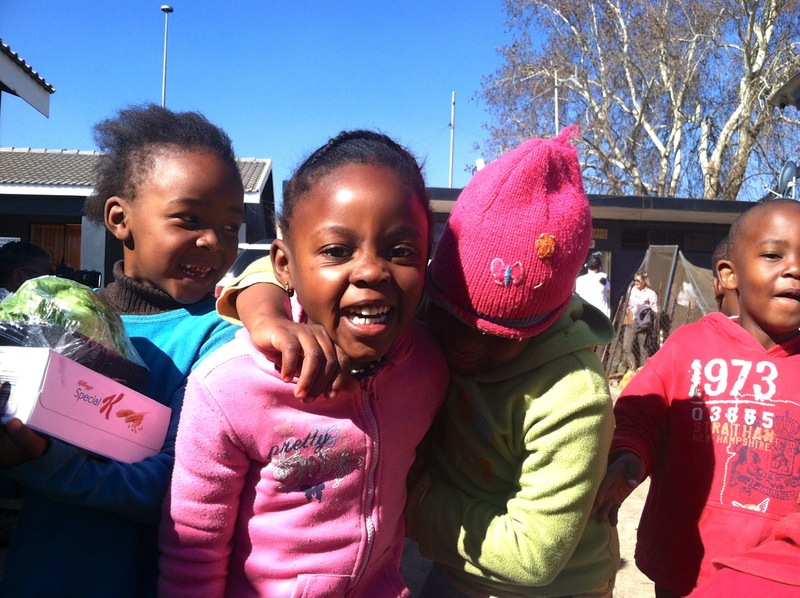 Educational opportunities are limited in Kliptown, requiring children to travel outside of the township to attend school. For many members of KYP, the after-school tutoring is the only time that they receive individualized attention. English lessons are also given to supplement what is being taught in school. In a country with 11 official languages, South African students are taught in their native languages until grade 3 when instruction begins to be done in English. By grade 6 all of classroom instruction is in English. However, the transition from the student’s native language to English is poorly carried out leaving many students struggling to understand what is being taught in the classroom. Access to technology is an integral part of KYP’s educational goals. Through a collaboration with the One Laptop One Child program, KYP has nearly 300 XO laptops that students are allowed to take home to help with homework. The Kliptown Youth Program’s goal of exposing youth to technology has been further helped through a 50,000 dollar grant from the CNN Heroes program. After KYP founder, Madondo was nominated as a 2012 CNN Hero, the grant was used to build a modern computer lab. The lab provides students regular internet access in a community that generally lacks electricity and the infrastructure necessary for internet access. Food and clothing are also provided to members of KYP. Many students cannot afford their school uniforms or lack shoes needed for the long walk to school. Students receive a free breakfast and after-school meal. Part of KYP’s success has been the staff’s ability to raise money. Over 80 percent of money raised comes from the United States. Tourists visiting Soweto are brought to Kliptown to see the work that KYP is doing. Many of those tourists become regular donors or sponsors that keep KYP funded. Funding from the Global Fund for Children and partnerships with higher education instutions such as Fordham and Indiana Universities along with a collaboration with City Year Boston have helped KYP secure funding as well as a steady stream of volunteers. As the population of Kliptown continues to increase, the challenge for KYP is to be able to grow to continue to serve the community. Over the next few years KYP leaders hope to send more students to college and increase the number of programs offered. Posted in Education, Feature Story, Photography, South Africa and tagged Kliptown, South Africa, Soweto on April 27, 2014 by Isaac Riddle.